In order to renew joints properly, the infected sealant has to be removed completely and thoroughly. 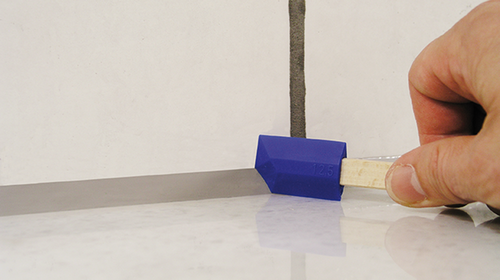 It is also important to remove any remaining sealant from the back of the joints and the edges. The affected joint area must then be treated with an anti-mould product in order to kill still existing mould spores. Only then the joints can be resealed. If these measures are not carried out carefully, mould may grow again quickly in spite of the fact that the sealant is equipped with a fungicide because of the mould spores still present in the joint underneath the new sealant. 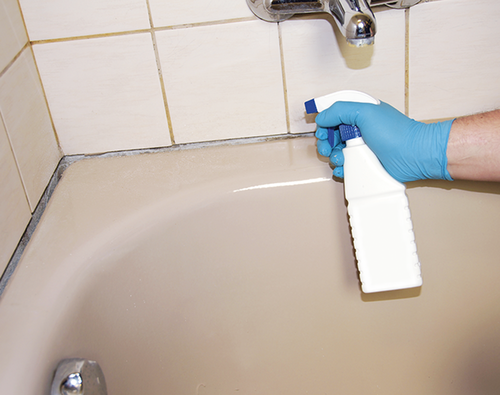 Use smoothing agent sparingly to make sure as little residue as possible is left on the sealant. Detergents, which are often used as cheap smoothing agents, are less suitable, particularly in wet rooms, as they often leave organic residues behind which then serve as a food source for mould. Form the joint in such a way that no moisture can collect or build up (avoid hollow dips!). Regular cleaning should be carried out with neutral cleaners. Acid cleaners are less suitable because mould forms more easily in an acid environment. 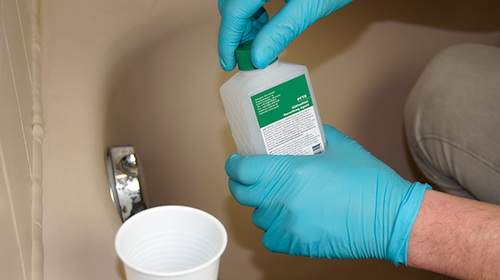 It is also recommended to thoroughly clean the silicone joint with a disinfectant sanitary cleaner once a week. Tips for adequate ventilation can be found here.